I might see about leveraging his loss aversion, and let him start with 1 red and 1 blue chip, because i think he’ll be VERY hesitant to spend those, and in turn more willing to pursue getting more so he can play with the house’s money. I don’t know if you would think this is along the same lines but a few months ago, I tried to run The Lone Wolf Adventure Game for my son (age 10) and he was afraid of engaging in combat because he didn’t want his character to die. Actually, he avoided any sort of situation or action that would put his character at risk. I didn’t know how to get him past that. Definitely a similar boat. Out of curiosity, how much has your kid *watched* you play? I’m starting to realize that’s where some of the expectations are coming from in our case. Personal opinion for dealing with loss/failure aversion in kids is to stage it. Make it like a video game in that respect. Then slowly crank of the loss. I totally get what you’re shooting for here, but I wonder if it’s a little too abstracted to sell a kid on it. It might be worth looking at Henshin! (https://www.henshingame.com/). It’s basically “Dream Askew with Power Rangers” – mechanically similar to this failure engine (at least conceptually), but grounded in a kind of storytelling a 9 year old might be familiar with. You spend tokens to do awesome things, but you also have to make concessions to gain new tokens. The concessions are clearly tied to genre tropes of recognizable characters doing suboptimal things, like the hotheaded rookie picking fights she can’t win, a “fail, and….” condition customized for each playbook. I wonder if, with a little context, it might be easier to wrap your head around the idea of why you might agree to fail because it fits the story. Out of curiosity, how often do you mistype “she’s” for “her”? I like the system you came up with. My fear would be it would backfire and he would think the point of the game is to get more and more chips. That he would try to always “lose” the encounter in order to amass a big pile of red and blue. It’s interesting, because this idea undocks /player/ failure and /character/ failure, such that they are both player success just along alternate routes. It becomes a minigame of player bidding successes when the player cares about character success, and about getting an alternate player success of more currency when they don’t care as much about character success. As long as you point out ahead of time that pre-emptively failing where it’s okay is a good way to make sure you have chips to succeed when you want to – just in case we take that for granted but he doesn’t make the immediate connection. In some ways, this reminds me of the beats of a story, with up-beats and down-beats. The next phase of the rules might be to allow character failure along one dimension to allow getting chips to allow character success along a different dimension. Alienating your contact but getting the secret code, taking a nasty cut to get in close enough to finish your foe off, etc. I think you should try adding the concept of “doubling down” into your consideration. This is the point where if he/she is committed to success they will succeed but it comes with a consequence and they will begin to question if failure is a better option. Every time the player wants to take an action they place out a chip. If the GM doesn’t want to counter, the player gets their chip back and succeeds. If the GM wants to counter, the GM can counter the chip by playing his own chip. 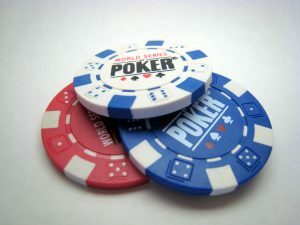 The player can then either take back the chip and fail the action or keep the chip out but then you roll a dice to see if he gets both chips. Regardless of the dice outcome, if the player decides to risk his chip, he succeed in the action. This gives the player back autonomy over the outcome but maintains an element of chance because instead the player is risking a resource which might be more important later. The first game with a child will have an obvious outcome (lots of lost chips) but likely over time he will begin to reserve chips and strategically consider his actions importance.